Jessie Chaffee (l) photo by Heather Waraksa, Minna Zallman Proctor (r) photo by Sandra Dawn. We can’t always be in Italy, so we love the books that can transport us there. Jessie Chaffee’s debut novel, Florence in Ecstasy (Unnamed Press), and Minna Zallman Proctor’s collection of essays, Landslide (Catapult), both feature American characters who go to Italy to get away only to find themselves even more tethered to home. 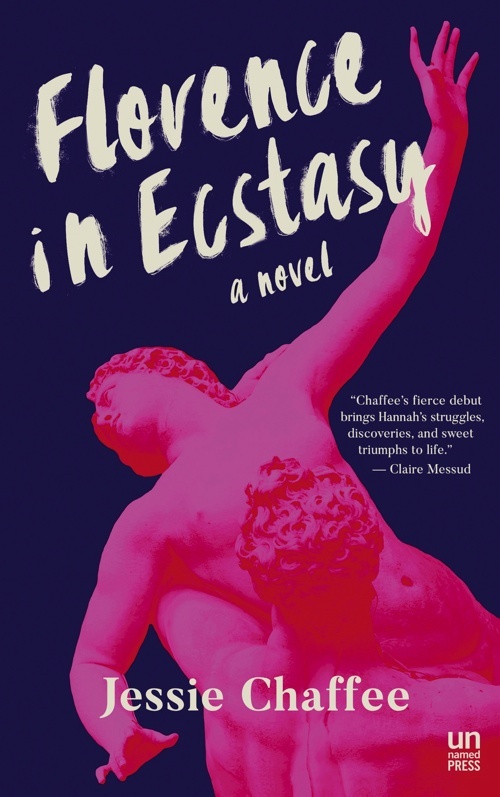 Hannah, the protagonist in Florence in Ecstasy, embeds herself in the local community but has to confront the internal ruthlessness of an eating disorder. With poetic and incisive prose, Chaffee gives us access to an emotional world seldom explored with such grace. 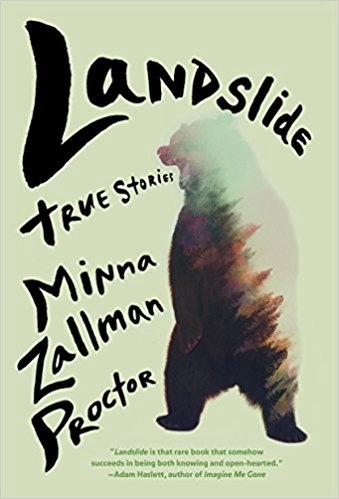 In Landslide, we follow Proctor on her trips to Italy and back, as she sifts through her complicated relationship with her mother, who passed away fifteen years after a cancer diagnosis. The essays, though they form a kind of elegy, are warm, humorous, and probing of life’s absurdities and joys. Neither writer is a stranger to the places she writes about. Chaffee received a 2014-2015 Fulbright Grant in Creative Writing to Italy to complete her novel, and was also a Writer-in-Residence at Florence University of the Arts. Proctor is the author of Do You Hear What I Hear? An Unreligious Writer Investigates Religious Calling and has translated eight books from Italian, including Fleur Jaeggy’s These Possible Lives (New Directions). Chaffee and Proctor met for the first time this summer, to conduct this interview. At Bosie Tea Parlor in New York’s Greenwich Village, they spoke for hours about many things including the pleasures of crewing under the Uffizi Gallery, the pathology of addiction, and the forces that propel writers to chisel out the contours of a story. Minna Zallman Proctor You were working on Florence in Ecstasy over many years, and then spent time in Florence on a Fulbright completing it. How much did the book change over the course of the writing? JC They took over! There were so many of these women in medieval and Renaissance Italy, some of whom you don’t hear much about, like Maria Maddalena de’ Pazzi, who was local to Florence and becomes central in the novel. So that element of the book shifted quite a bit as I learned more about the saints. Hannah’s voice changed as well. MZP That’s interesting. In the final drafts? JC In the final drafts. Hannah is, in some ways, an unreliable narrator—she shares what she believes to be the truth, but she doesn’t share everything. I think I was sometimes withholding too much—and maybe this has to do with what we expect from a woman protagonist in a book written by a woman. I didn’t set out to create a likeable character—I wanted Hannah to be real and complex—but I still shied away from having her say things that were overly negative. I remember my editor saying, it’s okay for Hannah to be judgmental. He pushed me to include more of her perspective, including her judgments, and to make her less passive. MZP It seems like that’s the critical note to hit with an unreliable narrator. Because if she’s not saying enough, then her unreliability gets entrenched—the question becomes: Is she just withholding, or is it something much more interesting, that we have to sort through? Which is a much more engaged perspective for the reader—we’re trying to figure her out as she’s trying to figure herself out. And then that becomes the plot of the story. I wanted to ask about the crewing in Florence in Ecstasy, because Hannah rows in the novel. Did you actually do it? JC Yes. When I studied abroad in Florence during college, I joined the rowing club there and learned to scull. MZP I’ve always thought that rowing was the one thing you could never do if you weren’t Florentine. Florence is a very insular city to live in. There’s a kind of real old guard provincialism, and rowing seemed part of that old school—as a foreign woman, there was no way that you could do it. But you just walked in and said, “I want to do this”? MZP It all made sense. JC It made sense—you have to be so in your body and so present to be able to row successfully. It seemed like the right kind of activity for Hannah. MZP What a different book it would’ve been without the rowing, if it had just had the city and the saints and the men. The rowing anchors the exotic backdrop of Florence in that you’re deep in the city and it’s not a Florence that people are expecting to see. JC I love that the club is literally under the Uffizi Gallery, this very touristy place, and yet is a completely different world. It did become the anchoring thing—for Hannah, too. Because the saints are important in that they help her think about the meaning she found in the eating disorder, the experience of ecstasy through denial, the desire for a sense of self and identity, even if it’s in a self-destructive way. But Hannah ultimately has to reject some of the saints’ extremity, whereas the rowing remains and it provides balance. For somebody living in extremes, balance—and literally having to be balanced in a scull—is the goal. MZP I recently reviewed Daphne Merkin’s This Close to Happiness. There’s a scene where she’s in a clinic and sitting at the lunch table with the depressives. The anorexics are at the next table over—because they have to eat together. While the depressives just kind of bunch together in all their misery. Merkin looks over at the anorexics with so much envy. This is one of the canny insights I love about her memoir—she’s jealous of the anorexics because depression is like a sin of indulgence—too much sadness—while anorexia is a sin of restraint, abstinence, a cultural virtue taken to the extreme. Abstinence is also the disease of the saints—such a constant theme in your book. I love the commentary of Merkin sitting in a mental health clinic, wishing she could have a more virtuous disease. JC One of the tricky things about eating disorders is that there is—as with the saints—a kind of support for them, a cult of diet and exercise and beauty. Somebody begins losing weight and people respond positively—the restraint or denial is seen as virtuous. But I wanted to write about an eating disorder as a loss of self, which I think is an aspect of the experience of depression as well. There are differences, but there are also parallels, particularly in the net result, which is isolation. MZP Well, you know the literature better than I do, but I have this impression—from when I was a teenager and anorexia was exploding as a cultural touchstone—that it was important to distinguish between an eating disorder and dieting, that it wasn’t about losing weight but about control, and pathology to stay little, childlike. That removal from the culture of beauty, may have been even an overcorrection—to absolve people of the positive reinforcement of pathological abstinence. But there’s no positive reinforcement for misery. JC Whatever one is struggling with, there’s the reality of being within it. So whether it begins as something that is culturally supported—like beauty or self-control—what it becomes is something else. The disorder becomes the meaning. In that way, it’s like many things. MZP No other character in your book can enter into Hannah’s meaning. She operates boldly in the world but everything going on in her head has nothing to do with the stuff around her. That’s drawn really nicely. JC Part of Hannah’s struggle is that she’s experienced something she feels incapable of articulating—it has its own language. Her isolation grows out of that divide in experience. MZP For you, as an artist, is there some kind of addiction in creativity? JC It’s certainly addictive. There is this desire and impulse to do it. And it involves the same impossibility and frustration that Hannah faces, because creating is all about taking the ineffable and giving it shape, giving it form, communicating it, but there’s often a gap between what we’re trying to say and what we are able to say. Sometimes I’m successful and sometimes I fail. Sometimes it’s painful and sometimes I get into that space where it feels right. That’s the high. That’s part of what keeps me coming back to it. But I also come back to it because I have to, because I write to understand—it’s how I make meaning. JC In thinking about constructing meaning, what was the impetus for Landslide? What was the meaning you were trying to give shape to? MZP My first book was for my father, about him and to him—he was my reader in my head as I wrote. This is my mother’s book—it’s made up of small pieces, like the ones she wrote as a composer, tightly but not overtly linked, and there are themes and variations. And it’s kind of a funny book because the world is absurd and she appreciated absurd things, and it’s sad because in many ways it’s an elegy. JC I loved this line: “if I could just invent rather than just observe, I would, because fiction writers have so very much more access to truth, to some kind of truth, at least.” Why do you feel that about fiction? And then within memoir, how do we arrive at truth? MZP That’s sort of the eternal question. In poetry, for example, there’s so much secret code: this giant well of deepest, darkest secrets and vulnerabilities and emotions, totally laid bare but processed through an enigma machine. You’re bleeding, your heart’s on the table, but there’s a pretty teapot over it, so nobody can see it. Yet it’s there, and there’s the satisfaction of that expression. In fiction, you can write anything you want, and then you just change your mother’s name to Helen, make your father a piano teacher, and put a red wig on your brother—voila! Of course much fiction comes from a place of “total” invention—which is revealing too, the way dreams are—but in most senses fiction is truth in a red wig. With nonfiction, all of that gets far more complicated. You can’t encode because nobody wants to decipher nonfiction. That’s not the point of the genre. If anything, you’re supposed to be doing the deciphering. That’s your job. You can’t put things in code, and you can’t put wigs on people. I think one of the reasons I’m drawn to memoir is that at least I’m dealing with my own reality, which belongs to me. The stories I’m telling—with one exception—are mine to give up. They’re also the ones I know best. I’m not building a world. Imagination is the primary tool of fiction—even if you’re building off of reality. You, for example, imagined a Florence for your novel—you imagined a Florence that could contain your novel and your character, then you imagined characters that could interact with her and provoke the things that they needed to provoke from her. In nonfiction, the equivalent tool is observation. The skill is seeing the story through observation. You can’t make the world do the thing, you have to see the world, figure out Where’s the story in there? JC I loved the section where you’re talking about the different aspects of memory—semantic and autobiographical. Maybe that’s where things come together. Because even though you describe nonfiction as observation, you discuss the idea of autobiographical memory as depending on imagination. JC There is this creative sort of fiction-making aspect to memoir—because it is the extent of our imagination that allows us to create a narrative. JC To remember well and to make sense of it. MZP That’s key—to make sense of the facts. JC Or our emotional response to them, in any case. MZP It’s the same if you were interviewing someone or doing research: you meet with the person and talk or take notes, and then you go to write and think, wait a minute, this isn’t enough. You go back and ask more questions about the same thing: What was she wearing? I need something physical. Was it sunny out? You ask more questions. So, she had this dog, did she like the dog? Was the dog a formative dog or was it just a dog that she had? And if it was just a dog she had, then why did she have a dog that she didn’t care about? Was it like a trophy dog, and what does that mean about her? You go back again and again. When you’re writing memoir, you have to research your memories in the same way—you have to go back and revisit them. I think, as a teacher, that a lot of what I find in early drafts is that they are under-observed. Observation is still an imaginative quality because you have to look and say, “Yes, this pylon has significance.” If I need to remember this scene in this coffee shop in five years, I’ll need to think about the importance of the orange flag waving outside. Does it have any relationship to our conversation? Probably not. Except that this coffee shop is really quite empty, even though we’re in the middle of New York City. There’s no one in the street, there’s no one in the coffee shop—maybe because of the construction signaled by the pylons and orange flag. We have an emptiness around us, you and I. We’ll make imaginative leaps to find the meaning in that. JC Translation comes up a lot in Landslide. When you talk about the Italian writer you translated, there is a great line about understanding her through her words. But then there are also references to things that are untranslatable, and there’s this recurring idea of being an echo or a translation of your mother—or not. And so I’m wondering if, in a conscious way, your work in translation affects how you think about your work in nonfiction. MZP I think about that a lot—the relationship between nonfiction and translation and photography. Those three forms seem quite related—distinct from ballet, painting, novel writing—they are art forms derived from choices. Here’s the world—what are you going to put in the frame? Or, Here’s the word—how are you going to say it in another language? And, Here’s the street—are the pylons important or not? How are you going to frame your observation of the street to represent this? Nonfiction doesn’t describe a form; it’s just a constraint. Ultimately the big difference between fiction and nonfiction is that nonfiction has to based on facts and truth. If it’s not true, it’s a novel. That’s the bottom line of the genre. Translation also has some kind of factual master, the original. It wrestles with the original and asks you how to perform it in your own language. Nonfiction wrestles with the world around you and asks how are you going to decipher it to make a story? JC Part of the book is this kind of search for origins and digging through your own history and circling your mother and circling your experiences with her. And part of it seems to be about locating the story’s end. I was really interested in the moment when your mother is describing trying to find the end of a piece of music, and then she describes it as the bells, the interrupting bells. MZP You have interrupting bells in your ending, too! JC I do! I have bells throughout—the bells in Italy. And you describe a friend as a kind of a bell in your life. And so, I want to talk about bells! What those interrupting bells are, and what that image or symbol or sound, which is so “Italy,” means in terms of memoir. MZP I guess I have three different answers. I think that that story about my mother looking for the ending of her piece and the joy that she got—it was as if she understood what the Italian countryside sounded like all of a sudden. And that she identified the bells as the end of her piece—it’s so purely aesthetic, which I’m sure you appreciate. The bells are exciting but they don’t have any intrinsic meaning—this is just a sound. It can be an ending, aesthetically, because it interrupts the ongoing noise; it interrupts what’s there and changes everything. Interruption is a moment when everything changes and so, of course, it’s also the moment of the new beginning. The period of my life that my book covers is mostly about interruption. So to sort of segue into another answer to that: My mom left all these secrets. She was like a poet—all of her emotional life was totally codified into music. Maybe a mathematician could understand the extraordinary language that she was speaking, but she wasn’t speaking a language made of words. JC You also said that she didn’t like to use explicit language, right? If it wasn’t complicated, if there weren’t levels to it, she wasn’t going to put it down. MZP She had a lot of secrets, which I talk about in the book. When she died, we were better able to put together pieces of the puzzle of her. I’m not sure exactly why they weren’t put together while she was alive except that I think some of the most exciting stories were, for her, enshrouded in shame. They represented her mistakes of youth. And also shrouded in this stupid painfulness of a lost time. I think that as we get older, sometimes we realize that thinking about the past is painful just because it’s gone. She had this incredibly vibrant moment in her twenties. She, like your protagonist, went to Italy; she was running away from a marriage, she was running away from her fiancé, she was running away from her father. When she died, I found all these letters, and all these pictures, and all these diaries, these journals that she kept. Letters to herself, drafts of unsent love letters. Also all these letters from her father and ex-husband, and some of her replies, which were minimal. And I realized then how much she was withholding from her family. There’s pain in her non-response, because she’s too ashamed to write it. The magnitude of that pain, the painfulness of that period was so clear in her silence, which was my mother’s weapon. My mother was just a weapon with her silence. Maybe that’s the bells too—they interrupt the silence. I went into this project thinking that the end of the book was putting together the pieces of her puzzle. But there are no pieces. She just lived a life that was painfully like mine in its missteps and just that big emptiness, that silence. It weighs, all these years later. JC And yet looking at it in a certain way, you do create the meaning. There’s that wonderful moment where you challenge the notion of epiphany. You tell the reader, this would be the moment where there would be an epiphany, and there isn’t one—in fact, we’re still stumbling in the dark and it’s about how we’re still stumbling in the dark. And I loved the scene when you’re looking for the right grave marker for your mother—the kind of literal obelisk in the book—and all the different stones are reflecting the light in different ways, and you’re looking for the one that feels like her. But the sense I had reading that scene was that all of those different reflections were the point. You never say, this is the one answer or this is the one story. In circling around your past, your mother, your own self, you create the shape. It’s not fixed, but it’s there. MZP Well, that’s reality. That’s the nonfiction part. Because I can’t sort of tie it up. But as a novelist you know that story is trying to build narrative lines. I held that out for myself. Like, this book will work because there will be this narrative line, this search, and then it will be revealed. And it just wasn’t. I couldn’t find things I thought I’d seen in the boxes of paper. What I thought was the plot, was almost like the red herring. JC I think that’s true in fiction, too. We start out with what we think we’re talking about, and then it gets upended in the process of writing. MZP It turns out we were talking about something else the whole time! I thought I had discovered Eric Kraft when reading Taking Off , the first in a series about his alterego Peter Leroy.